Our South African holiday continues with another sewage works! Fresh from Strandfontein Paarl sewage works was about a 45 minute inland drive heading north east on the R101 from Cape Town, branching off to Paarl on the R45. This was on a much smaller scale in comparison to the vast Strandfontein sewage water complex visited the day before. 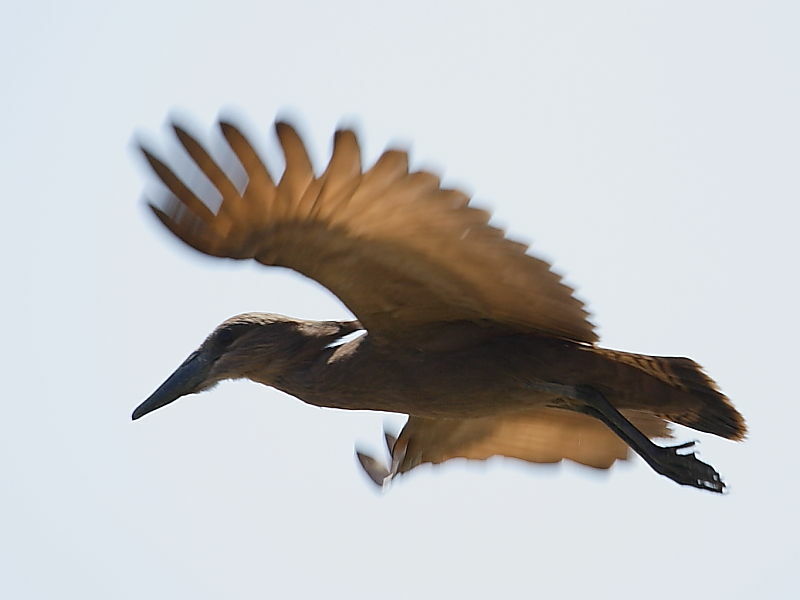 Nevertheless, there was a wide selection of water birds on the 6 or so pools and the surrounding, trees, scrub and lowland were also rich in birdlife. As it turned out the first pool we came to, nearest the car park and gravel entrance track, was the most natural looking of the pans we would see. It was surrounded by thick reed beds with some over hanging trees. What was so remarkable was how its appearance changed so quickly in the short time we were there. When we’d arrived the surface of the pool had been clear of any weed and well populated with water birds. But by the time we’d returned to it having visited the other pools, its whole surface had become cloaked in a mat of green weed and was almost devoid of bird life. 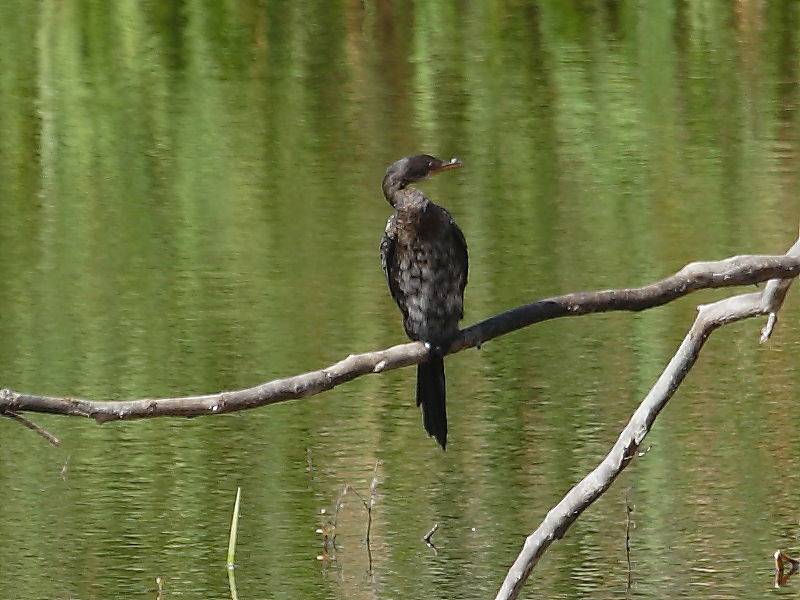 The Reed Cormorants had either moved on or were sitting drying themselves on overhanging branches and only the Moorhens and Red-knobbed Coots seemed prepared to swim through the pea like soup. 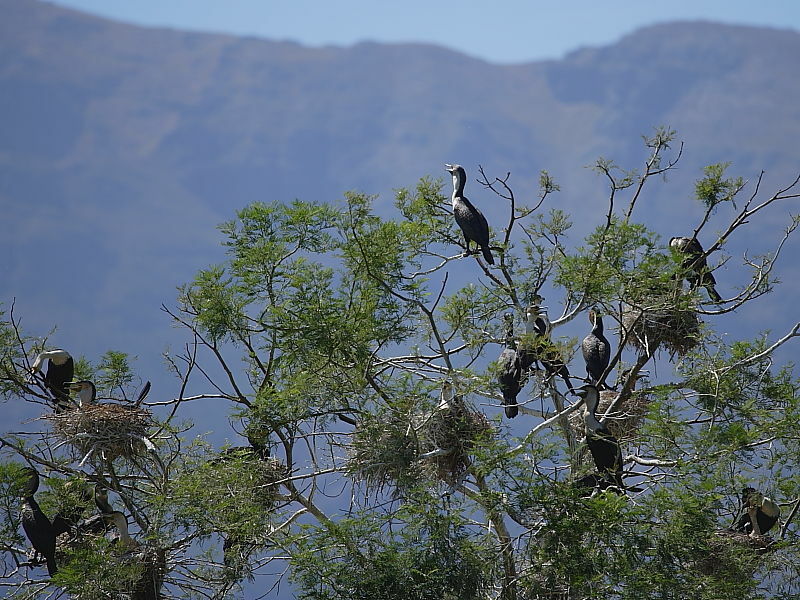 A colony of White-breasted Cormorants squabbled noisily in a few scraggly trees on the far side of the pool. So many hirundines wheeled around over head that it was almost impossible to keep track of a single one without losing it amongst the clouds of other birds. I managed to identified a few with a degree of certainty before deciding the angle of my craned neck was in danger of becoming a permanent feature and so returned my attention to the water. 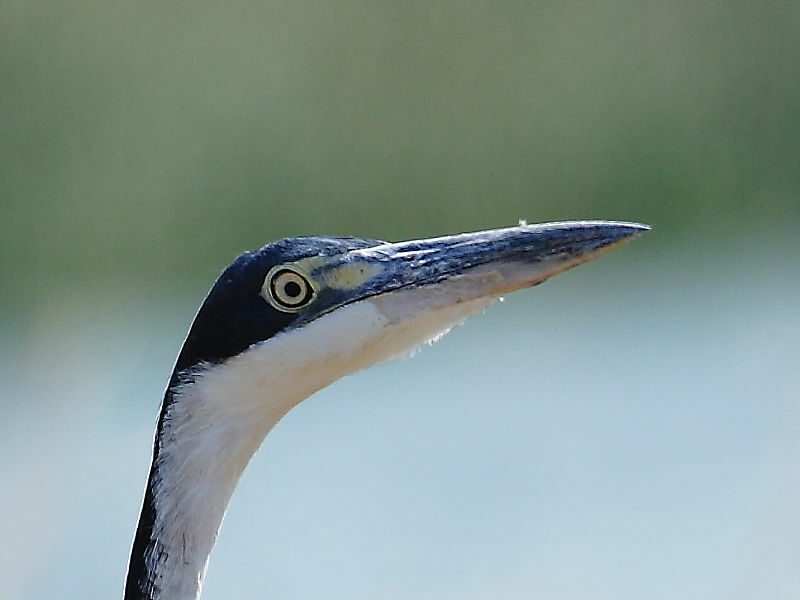 A Black-headed Heron peered out of the reed beds at us. 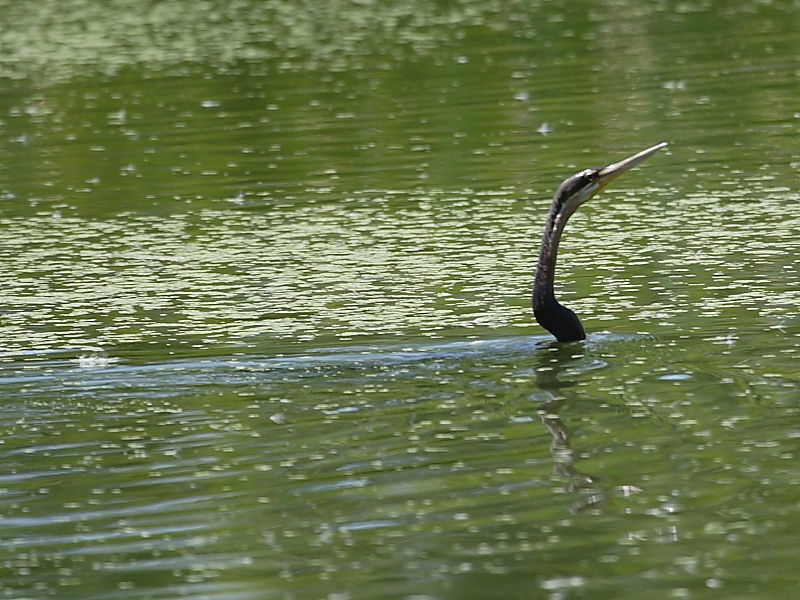 An African Darter was feeding with only its snake like head protruding from the water. A big bird it may have been but could I photograph it! The problem was the head and neck were so slender that when ever it did pop up the auto focus focused on the water behind. And because it kept diving and swimming long distances underwater it was impossible to predict where it would reappear, providing too little time to manually focus before it disappeared again. 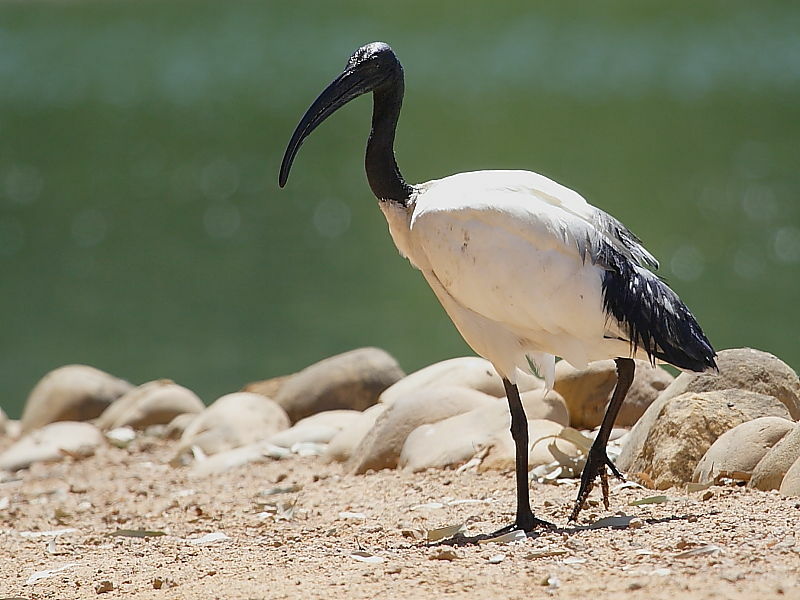 Thankfully there were more accommodating subjects such as an African Sacred Ibis standing on a path beside the water. 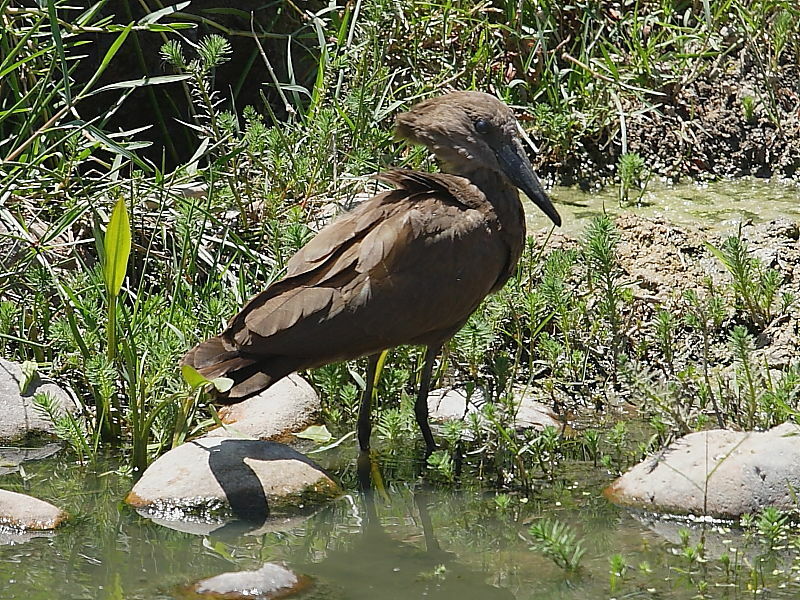 Moving on to some of the more rectangular shaped and less natural looking pools we came across a Hammerkop feeding in the bottom of a partly dried out over flow ditch. A strange looking bird with a uniquely shaped hammer shaped head. With its large beak and gormless face studded with two large glaring eyes it resembled a cartoon character. Disappointingly it didn’t stay long before taking off. 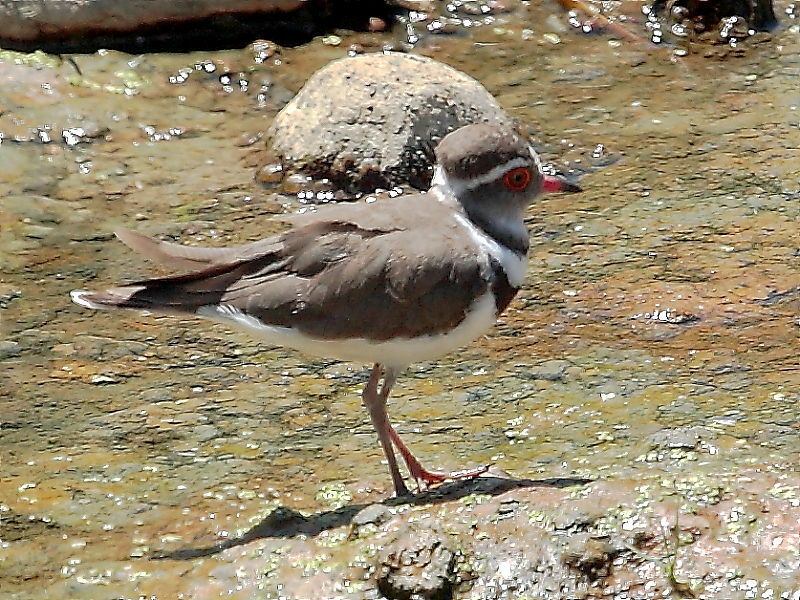 In the bottom of another ditch a Three-banded Plover was feeding. 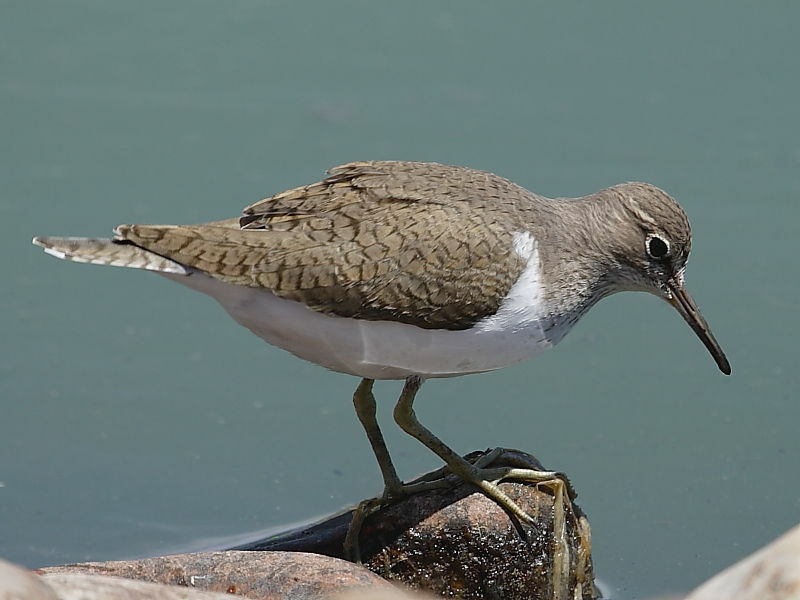 Further on, two more familiar waders stood on the waters edge, a Common Ringed Plover and Common Sandpiper – two waders commonly seen back home in the UK that consequently didn’t test our limited knowledge of South African birds. It always seems strange when venturing abroad to find familiar birds amongst flocks of strange species. And even odder when you witness a bird that’s very common back in the British Isles creating a massive twitch in the country your visiting. 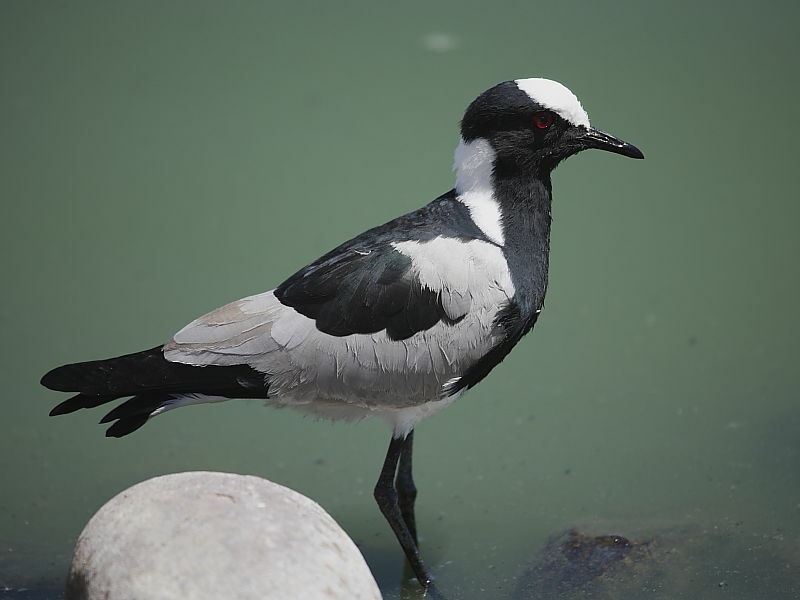 We’d already seen a few Blacksmith Lapwing (Plover) on our trip but the ones hanging around the pool edge looked particularly smart. 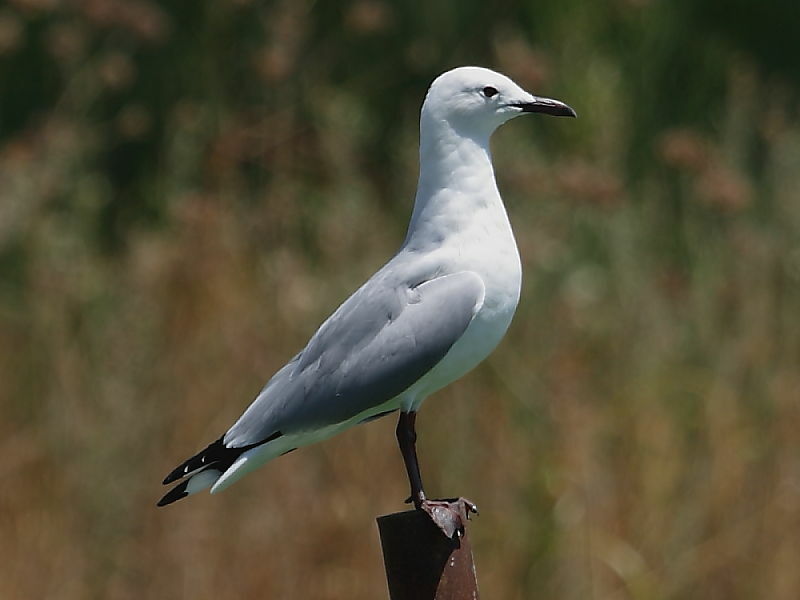 An endemic Hautlaub’s Gull posed conveniently on a post sticking out of one of the main pools. 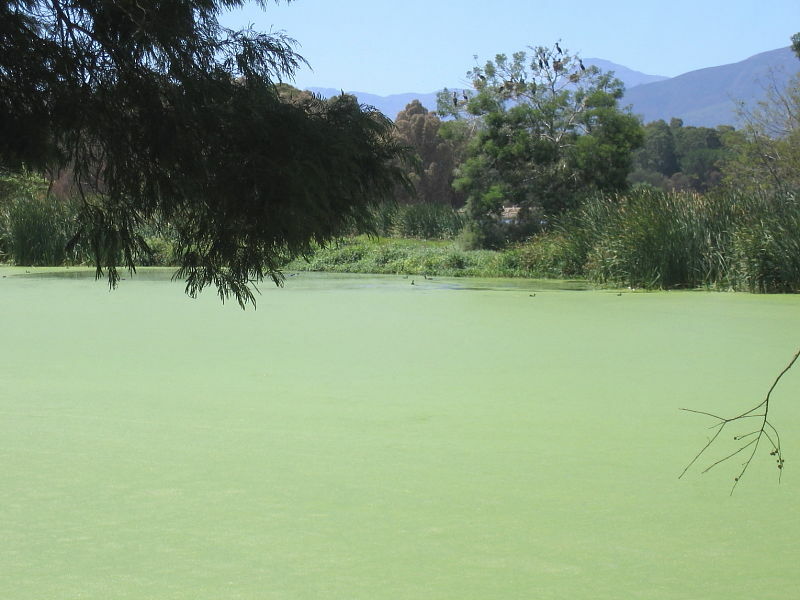 Next stop – Paarl Mountain and Wild Flower Reserve which, as its name suggests, offered a very different landscape and wildlife habitat.